As the weather warms up, the deer stalking season begins. Walkers can make sure they won�t disturb stalking by checking the Heading for the Scottish Hills website, a service managed by Scottish Natural Heritage (SNH) to provide details on deer stalking on estates between July and late October. �Deer stalking takes place when Scottish weather is often at its peak. More people want to get outside and enjoy nature, but it�s also a very busy time for land managers. Heading for the Scottish Hills is a quick way for hill walkers to check they won�t disturb any stalking,� said Fiona Cuninghame, SNH Recreation and Access Officer. 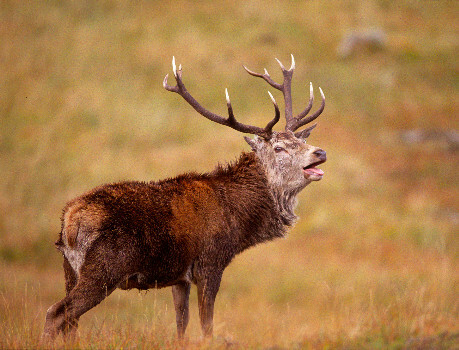 The website helps walkers follow the advice in the Scottish Outdoor Access Code to try and find out where stag stalking is taking place and who to contact if more information is required. It also includes routes that are �always okay� and the days stalking will take place on each estate. The Code also encourages walkers to follow reasonable advice on alternative routes and to avoid crossing land where stalking is taking place. The information can also be accessed through the Walkhighlands website, with relevant stalking details provided on each walks� page. Richard Cooke, Chairman of the Association of Deer Management Groups, said: �The Association of Deer Management Groups has been involved with Heading for the Scottish Hills for more than 20 years, both in its initial book form and now in the online version.